Last year, I started work on a new picture book that had me particularly excited. As usual, this started off with lots of frantic scribblings in a notebook – ideas, themes, framing devices, possible phrases to use, lines of dialogue, and so on. Once that initial flurry of activity died down, I went digital, opening up Word and translating my notes into a more coherent outline. Normally, I give each double page spread its own heading in Word to help me plan and structure the book, as well as get a sense of page turns, but it quickly became apparent that this wasn’t going to work for my new concept – it was very hard to visualise what was going on. At this point, it’s worth mentioning that I don’t illustrate, just write. Occasionally, I’ll add an illustration note to clarify a point in the text, but in this scenario I’d need multiple lengthy illustration notes, and even then I’d only be telling. I tried it for a bit, but became frustrated at how cumbersome it was. I needed a way to show the concept more directly. It was then I thought about creating a dummy book – a common enough technique (particularly for writer–illustrators), but I’d never done one before and never felt I needed to. 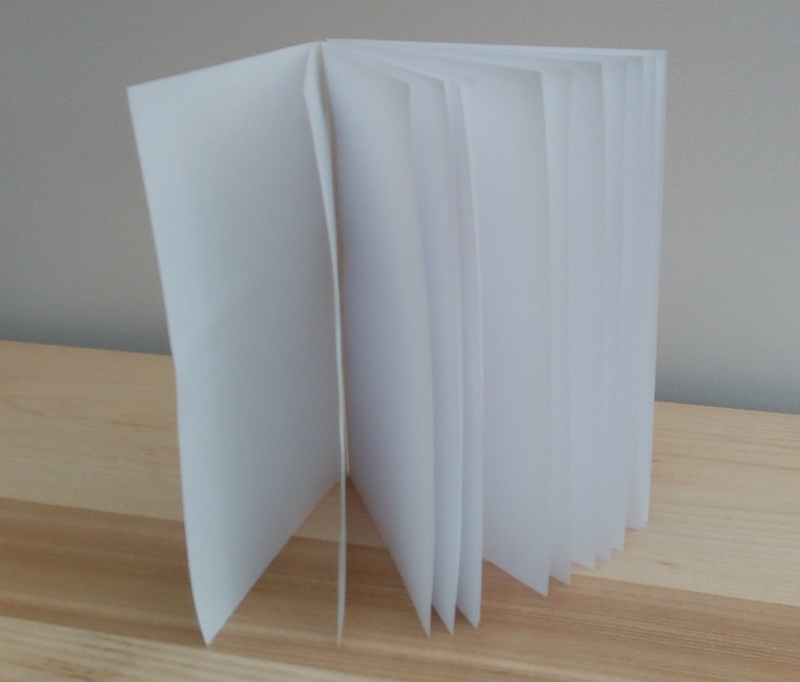 So I got a sheet of A4 paper, folded it in half to A5 size, repeated several times with more sheets, then used sticky tape to bind them together into a mini 32-page booklet. I started to write in the dummy and add crude drawings of the key visual elements I felt were necessary to help make sense of this particular concept. All of a sudden, my idea had come to life! Anyone could pick up the dummy and within seconds really understand what I was trying to do. Sure, it was in many ways aesthetically hideous, but that was purely down to my child-like handwriting, laughable drawings and limited paper-folding-and-sticking skills. Then, of course, came the inevitable redrafting process. So I rubbed out and scribbled out and rewrote and redrew and re-rubbed out and smudged and creased and ripped, until before long my dummy was a total mess. There was no choice but to create a fresh dummy. But how could I avoid the same problem as before? As much as I liked working with physical materials, I didn’t want to waste too much time – I had enough distractions already. Coincidentally, around this time in my day job we’d started to implement agile methodology – a software development technique that has many benefits compared to more traditional ways of working. I won’t go into details other than to say an interesting side-effect was that our team started to use lots and lots of Post-It notes. Post-It notes. Those brightly-coloured, neatly-sized and easily removable pieces of sticky paper. Easily removable...of course! The light-bulb moment was dazzling. I didn’t need to write directly into my pristine dummy book, I could instead write on Post-Its, stick them in and have the freedom to quickly remove, reposition and replace as much as I liked! They were like the physical version of hitting ‘Delete’ or ‘Ctrl-X’. 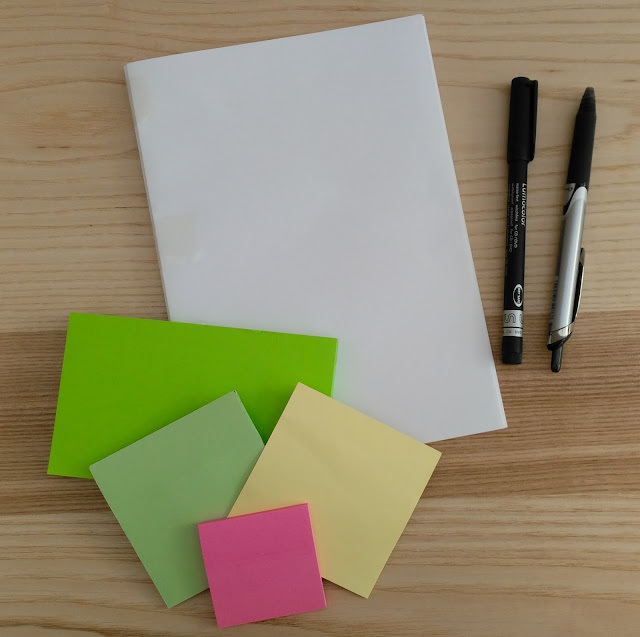 The Post-Its' regular shape and single strip of stickiness, however, proved to be a bit limiting when I tried to use them for adding those important images. Instead, I sketched the images on separate pieces of paper, cut them out and stuck them to the dummy with tiny pieces of Blu-Tack. The physicality of this approach was exceedingly refreshing. Switching to a different medium seemed to unblock certain areas and trigger a renewed bout of creativity. The final iteration in my development process was to actually revert back to Word for part of the editing process. 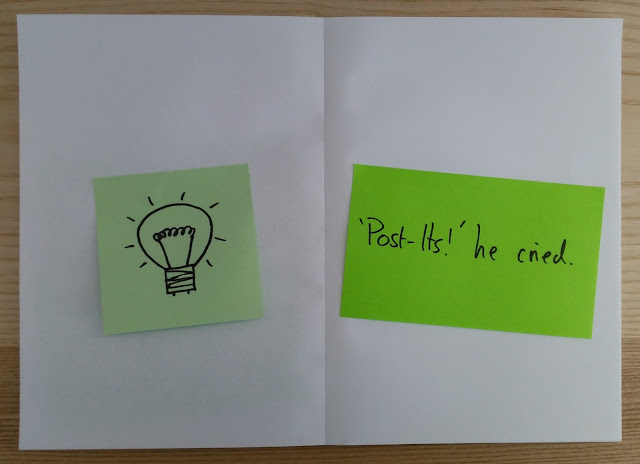 I’d write and re-write in Word, then at a suitable point transfer the text for a given page to one or two Post-Its and see how it worked in the dummy. 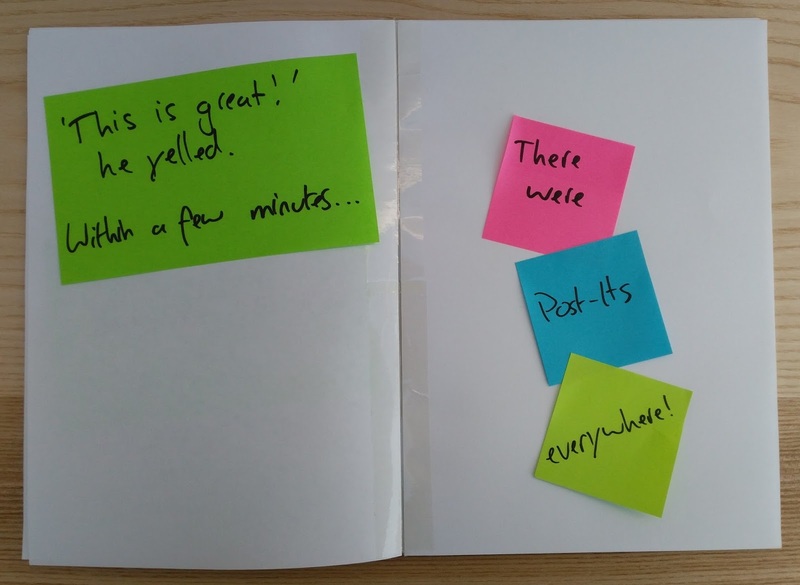 That struck a happy medium between flexibility, speed and not burning through Post-Its too fast. I plan on using this same technique even when I have an idea that isn’t so visual. When you’re working on the rhythm and flow of your story, speeding up the action then slowing it down, and getting those page turns right, reading from a manuscript doesn’t give the same effect as having to actually turn the pages of a book. 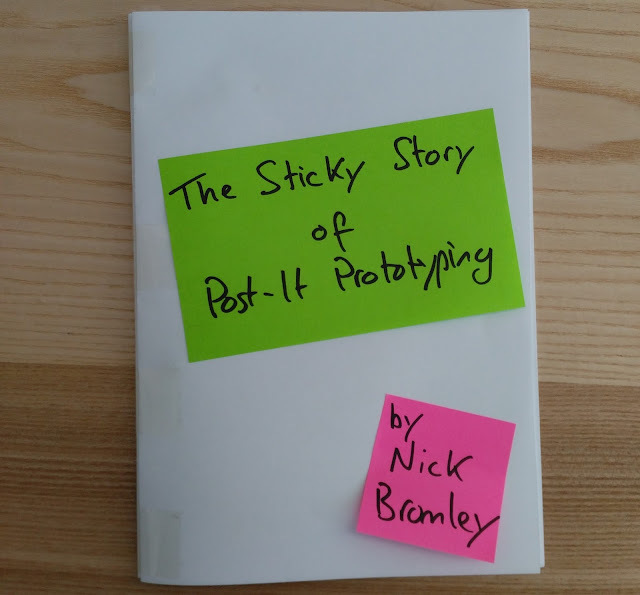 Disclaimer: I am in no way affiliated with the manufacturer of Post-It notes or indeed manufacturers of any type of sticky note, sticky tape or miscellaneous sticky substance. 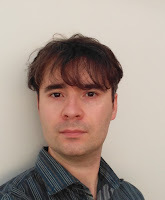 Nick Bromley has enjoyed writing for as long as he can remember, but only got his act together and started writing for children a few years ago. His first picture book, Open Very Carefully, was published by Nosy Crow in 2013. It won the 2014 Waterstones’ Picture Book of the Year, and was selected to be the Book Trust Booktime book for 2015-16. He is married with three children, and when he is not trying to write, works in educational publishing. Fantastic! Thanks for sharing. I am going to try this with a very visual idea that I can't quite seem to get right. This is genius! It's going to change my life. Thanks Nick. Love this idea!! Thanks for sharing. Love this! 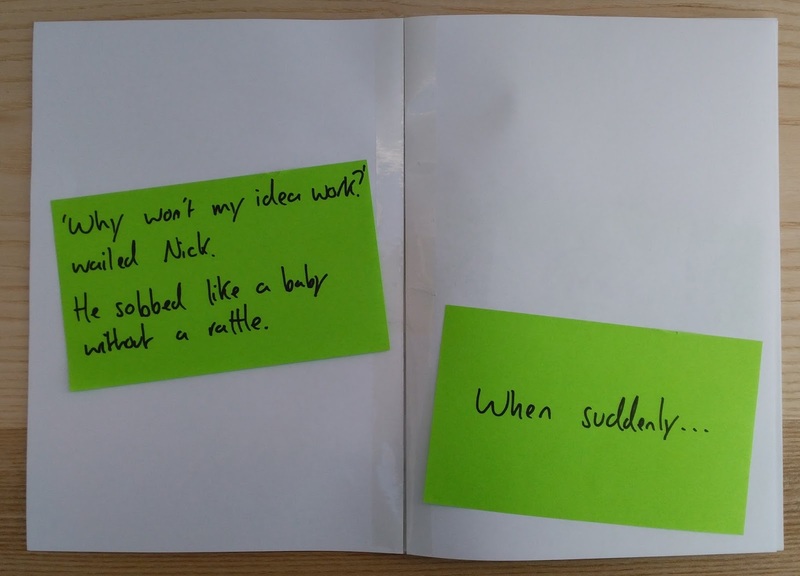 Agile Children's Books. Bet it leads to great, great stories. The research statement of the problem sample is motivated for the students's life. It is commendable. Very nice images. Often, when writing we are confused as to whether to summarize or to paraphrase. Both summarizing and paraphrasing are two different types of writing. You need to understand whether you need to summarize a text or to paraphrase it.